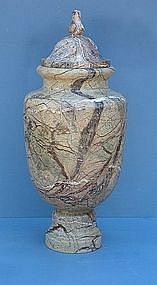 Figured Italian Marble Urn, 20th C.
Created by our firm, with detachable lid, 26" high. 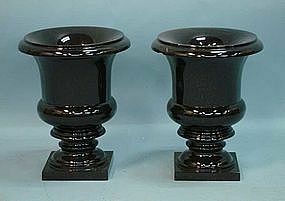 13" high. 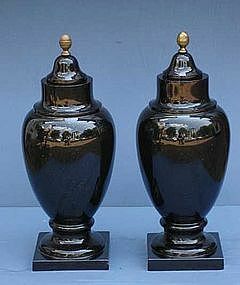 We have commissioned 10 of these urns to be made, very dense stone. 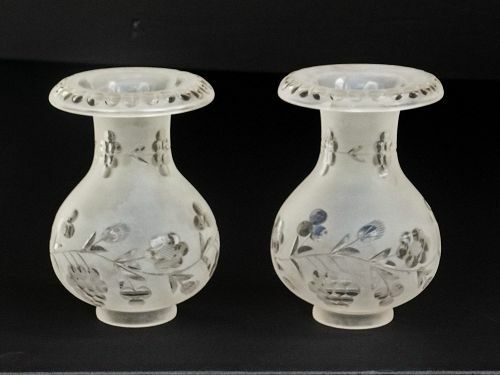 I cast custom reproductions of a period pair I sold to a collector. 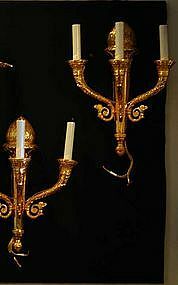 I also have them as lamps with traditional shades or they could be made into bouillotte lamps. 12" high. 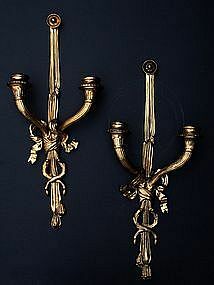 I commissioned these sconces cast from a pair of originals, they can be electrified easily. 26" high and 12" wide. 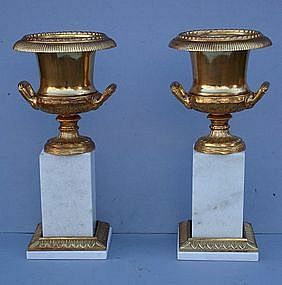 Pair of Ormolu urns on marble stands, custom made reproductions by our company, 17.5" high x 6"
Custom made for our company, approx. 21" high and 6 1/4" wide at the base. 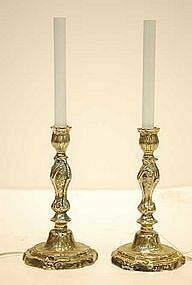 Custom made, cast from our period model. 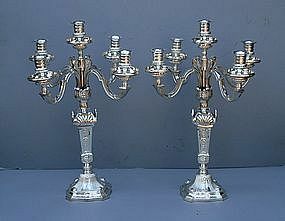 Also available as wired lamps. Approx. 12" high. 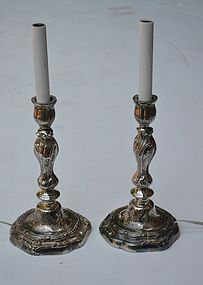 Also available as candlesticks unwired, custom cast from 18th bronze candlesticks (the original model is also available. 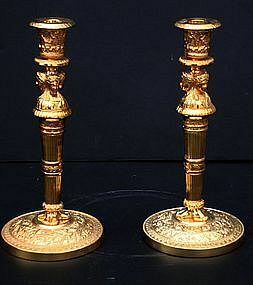 Note tarnish shows in photograph. 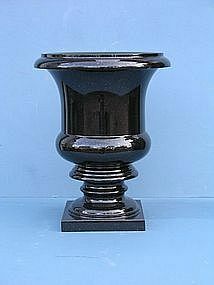 14" high, 9" diameter. Commissioned by our company. 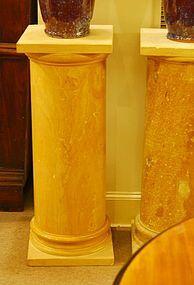 Massive, solid marble 14" tops, 36" high. Approx. 40" wide, and 96" long, 30" high. From our workroom--not color is actually nutty brown and not at all red as the photos might indicate. Legs made from very old walnut. 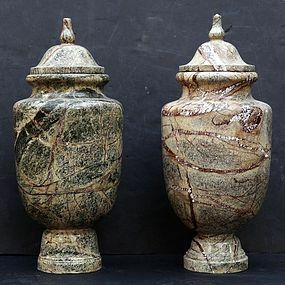 Pair of Figured Marble Urns, 20th C.
Custom made by our craftsmen using old wood, cherrywood throughout, it measures: 108" wide, 48" deep, 30" high. We are making tables in walnut with square tapering legs, in 7' and 8' lengths and with square tapering legs. 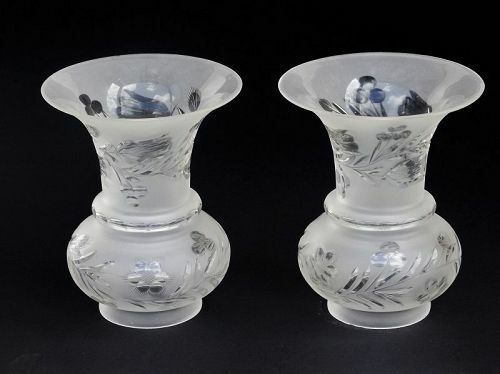 We can also make them to your specifications.